Board Games - Cute little animals seem to be all the rage right now. I can't say that I mind it's pretty fun to paint the miniatures in this line. They're well sculpted and have cool little details like sea shell armor and sand dollar shields. I had fun painting these for my client. 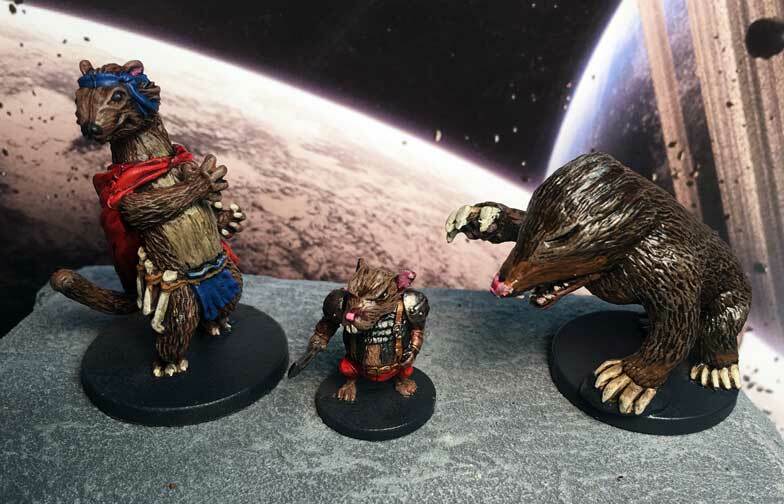 The models are well detailed and easy to get looking great with a simple dry brush and wash over the base colors. 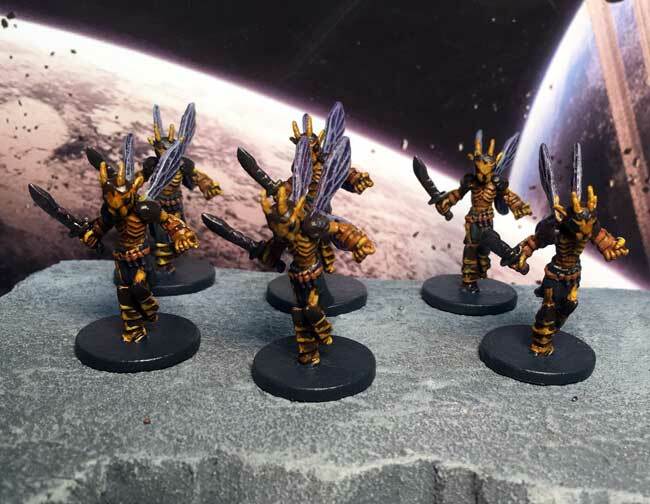 The only models that were a bit of a challenge were the wasps. It's hard to separate their exoskeleton from the armor plates. I'm happy with the end result but it did take me longer than anticipated to pick out the details. 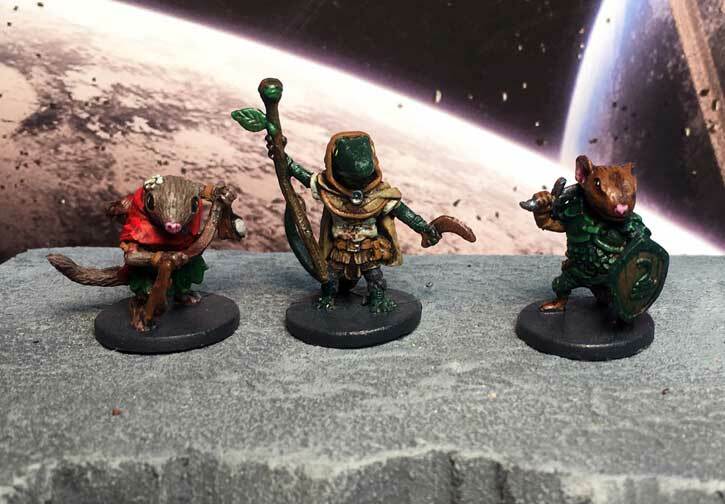 If you're looking for extra minis to do a animal themed game of Frostgrave you can combine these with the mousling range from Reaper Miniatures to fill out a party.